Once I find a product I love, it becomes pretty hard to make me steer away from using it. It can sometimes be just as hard for me to try a new product. This comes with worries about my skin reacting to the formula of a product most of the time, especially with more high end beauty brands. 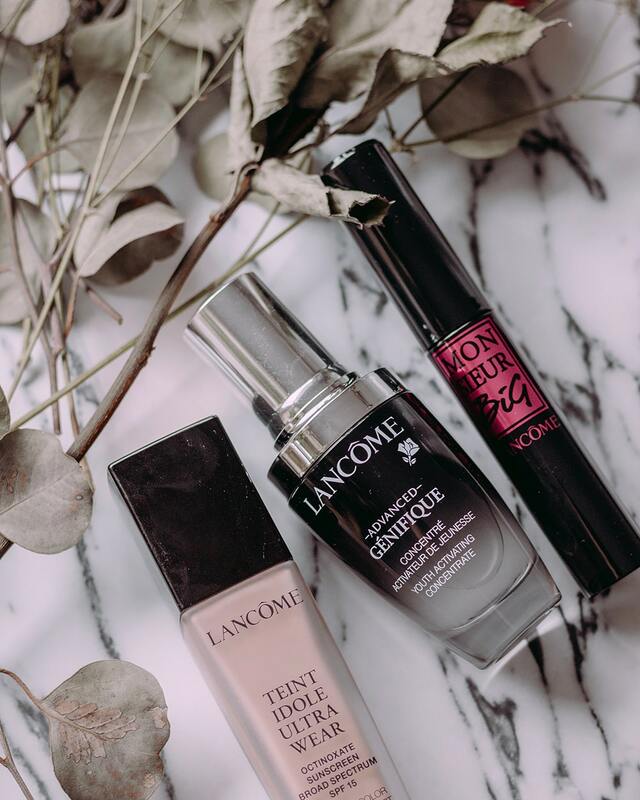 I am decided to report on three recent products that I have welcomed with open arms into my routine from Lancôme. This serum is great for helping bring more life into full skin and evening out texture issues. When a product helps protect your skin’s moisture barrier, you know that it is going to help maintain the hydration levels that your skin thrives for. The dropper applicator helps you get the perfect portion of serum in each use. I’ve started using this as my morning serum and I may even double up and use it in the evening too. It is a pricier skincare product, so maybe keeping it at a once-a-day usage would be best for my wallet. When it comes to base makeup, my preferences are ever-changing. I’ve drifted from full coverage to tinted hydrating products over the past year or so. I still go for the occasional medium to full coverage look when needed. But I do often go most days without any makeup at all. In the past, I’ve tried a Lancôme foundation and had no extreme love for it. The newer Lancôme Teint Idole Ultra Long Wear Foundation has completely won me over. There is something about the application that meshes perfectly with my skin and the medium coverage level is exactly what I need. When it comes to high-end beauty, the fragrance is always a big concern. Game changer: this foundation is fragrance-free. That’s right – it does not smell like perfume! If other brands could take note, I think a lot of people would be happier. Although only a medium coverage, I would prefer a medium base over full coverage. I like to let concealer do the rest of the work where needed. It’s available in over 40 shades and I was able to actually pick my perfect shade online and was impressed that their description matched the shade. 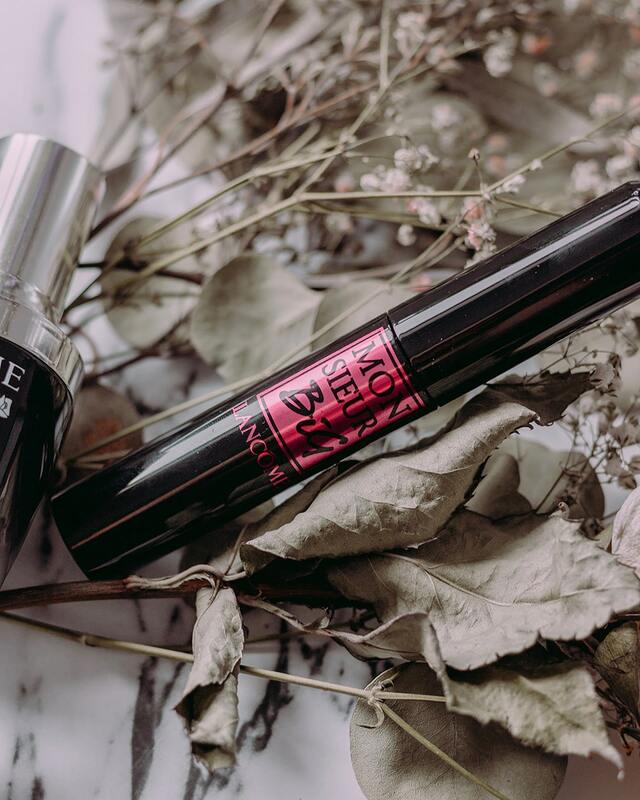 Lancôme’s Monsieur Big Mascara is not new to the beauty world. Although its waterproof equal is a bit newer to the market. This cult favourite mascara has won over the hearts and eyelashes of so many people that I went and bought it for myself. I’m not much of a mascara wearer myself, due to the fact that I can’t be bothered to attempt to take it all off at the end of the day. This mascara promises a bold and high-volume look that lasts through it all. I can admit that this mascara really does pack the punch it promises. If you want a luxury mascara, that this mascara really is one of the top rated products for good reason. It builds up the more you coat your lashes, so you can really make a dramatic look if you want. 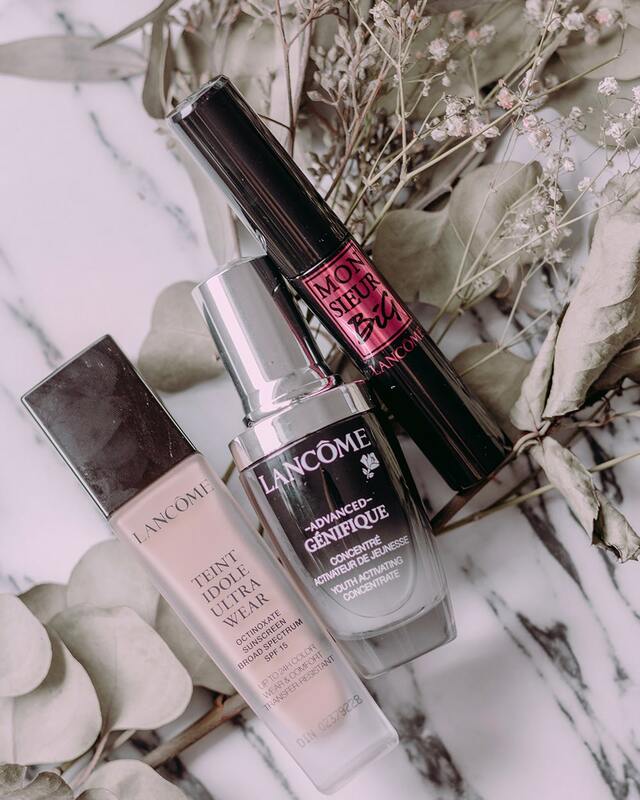 Have you tried any of these products from Lancôme? Or maybe there are other products from the brand you would recommend? Let me know in the comments!